Well 2017 is in the sidecar racing books. In all it was a tremendous year. High points included taking a win at our home track in Sonoma with Matt handling chair duties, and also my final race of the year with rookie co-pilot Regina Elwell… in her first ever race. She literally bought a helmet the night before and had about 5-laps on a sidecar previously. We pulled of a very close 2nd place. Pretty decent start, no? It was a good time to shine as well; Barnett Clutches put up some prize money for that event, the first prize money I’ve won in a couple of years! 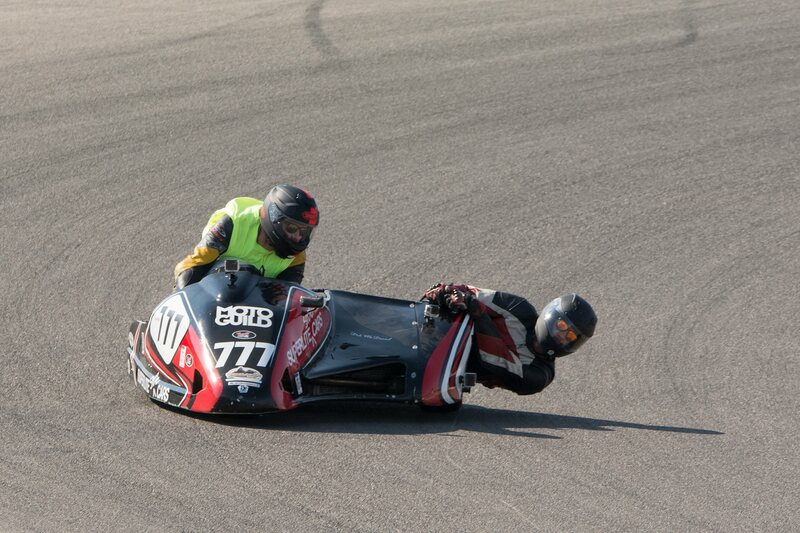 Barnett is a long-time sidecar supporter, so it felt great to have them onboard with the series this year. But this was a year of highlights. Start with the fact that the team has exploded in size and ability. We started by adding Mike Naddorious, Sean Devlin, and Jamie Crawford as co-pilots. The three of them came to round 1 in Southern California and helped me earn a 4th place and 2nd place despite breaking a chain in practice and having to split seat-time between all three of them. This was followed by Jamie and I heading to Sonoma and battling for the podium. Jamie stepped off the bike on the last lap of Race 02 unfortunately, but he was laughing and smiling when I came around to pick him up. Still, a red flag due to a different incident paused racing. Going back to the last completed lap, we were running 3rd; Jamie at least had a trophy to take home with some bruised ribs and scuffed leathers. Then the SRA-West managed to land some events with MotoAmerica©, the national Superbike series. Matt and I had a great time battling up front and leading most of the laps, but had to settle for 2nd place both days. But back in Sonoma (with MotoAmerica© again) we led the whole race until suffering our biggest downside of the season. I blew the braking for the very last corner on the last lap, giving up the lead and settling again for 2nd place. We changed strategy and got redemption on Sunday, winning the race and becoming one of only four winners in fourteen races. This brought us back to the final race in Utah, with host club AHMRA. 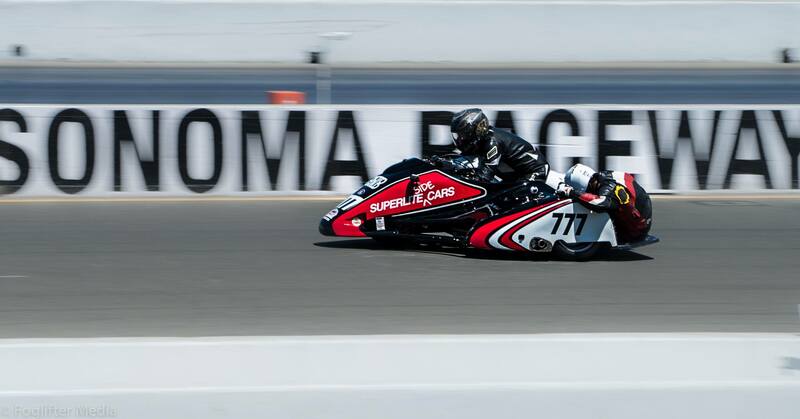 The American Historic Motorcycle Racing Association keeps it’s own sidecar points so I’m waiting to see how things finish out, but we currently sit in 3rd place in class. Some muddling with the rules made us enter the season in their Formula 1 class. Although the rules were amended soon after the first event, I saw no reason to switch to the correct class and give up the points we already earned. It doesn’t matter much in the end, since we just try and pass anyone that’s in front of us regardless of what class they are in. In the SRA-West series we pulled off 3rd place driver, although swapping co-pilots all year meant that Matt was back in 9th place passenger. I’m proud of our team’s effort considering we had to miss two of the seven events. We also managed to get Devlin in the driver’s seat where he belongs. He only had a few sessions but it gives me an idea of how to fit him in the bike better while I make ergonomic adjustments for myself in the off season. That reminds me of probably the biggest high-point for the team as a whole: our relaunch. 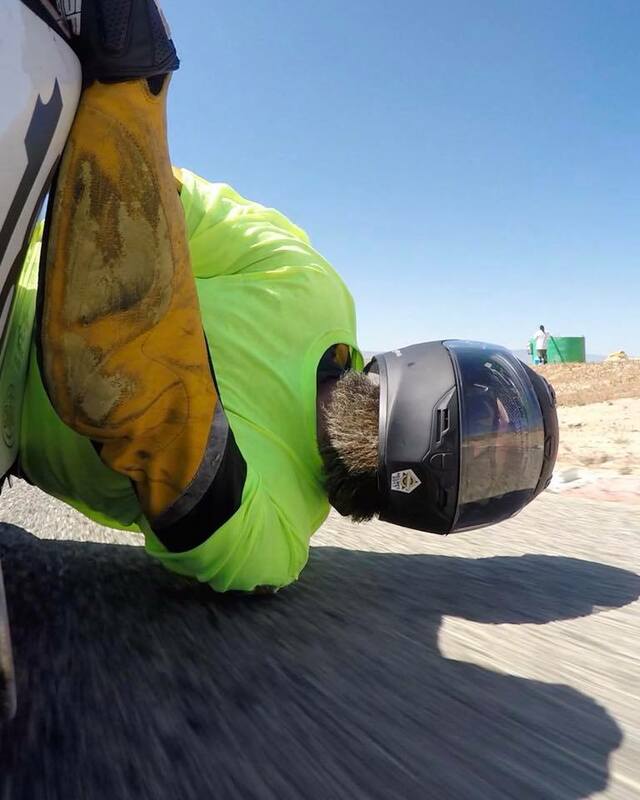 After Mike made a great video of our Willow Springs race it helped catch the attention of Jacob Jades over at Strategic Protocol. Instead of going for a sponsorship proposal, he came onboard with a full partnership, buying into the team and rebranding it as Strategic Protocol Motorsport. This gives us access to their marketing skills and several opportunities to cross-promote in other industries from music to football to film and beyond. We also now have someone dedicated full-time to sponsor outreach, allowing me to focus more on racing and training our stable of eager co-pilots. I still have a lot of hats to wear, but it feels great having partners in this madness. We are still gearing up the new team’s online presence, but make sure you like us on Facebook and follow us on Instagram. We will eventually develop a webpage and build an email list so we can keep fans up-to-date and have some cool giveaways from our 2018 partners. And 2018 promises to be such a good year. With 2 drivers on the team, we will have fewer problems with making every race due to time or financial constraints. Our stable of co-pilots will keep the bike balanced and they bring additional skills in video, mechanical skill, and more. This means we will be able to create content outside the race track, increasing our footprint but, better yet, increasing the reach of sidecar racing beyond the diehard motorcycle fanatic. Better yet, it’s a chance to get in enough track time to rid ourselves of these day-glow novice T-shirts! A group of lunatics getting on the podium every weekend deserves a little more style, ammirite? So stay with us on social media and subscribe to my newsletter to keep up with what we have going on during the off season, and look for us to come out swinging in 2018!